Lincoln Public Schools Communication Services continues to look for the most effective way to provide you with information. EdNotes is written and published specifically for the faculty and staff of Lincoln Public Schools. If you have information you would like to include, please email Mary Kay Roth at mkroth@lps.org. 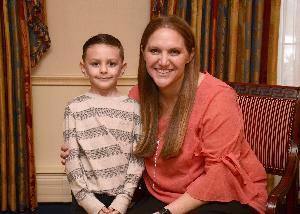 “I know you will love your new principal, and she’ll be reaching out to Humann families very soon,” current Humann Principal Gena Licata told Humann families on Monday. “She has a wonderful mix of teaching, administrative and leadership experience and will serve your school well." Matt Larson, associate superintendent for Instruction at LPS, said: "Sharon's experiences and focus on instruction make her a tremendous fit for the Humann school community." Prior to serving as assistant principal at Cavett, she was the instructional coordinator at Brownell Elementary School, and previous to that – a special education teacher at both Fredstrom and Arnold elementary schools. Sharon earned her Bachelor’s Degree from Cardinal Stritch College in Milwaukee, Wisconsin, and two Master’s Degrees in education – one from Doane University and one from the University of Nebraska-Lincoln. "We are excited to announce Gena Licata has been selected to serve as director of Elementary Education for Lincoln Public Schools," said Eric Weber, associate superintendent for Human Resources at LPS. "Ms. Licata will serve alongside Cindy Schwaninger in this capacity. Ms. Licata is filling the position that Tim Muggy has served as interim this year. We are very thankful for his work as we navigated several transitions, and he will continue with the district in a different capacity next year." Matt Larson, associate superintendent for Instruction at LPS, observed: "Ms. Licata has been an outstanding principal at Humann Elementary School and we look forward to her leadership contributions at the district level in support of principals and high quality teaching and learning." 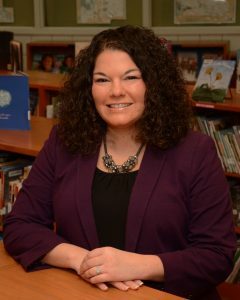 Licata is currently principal at Humann and prior to that she served as assistant principal at Humann, a teacher at Huntington Elementary School and a teacher with Indianapolis Public Schools. Licata's bachelor's degree is from Ball State University, her master's degree from Doane University. The Nebraska Association of Retired School Personnel (NARSP) will awarding two scholarships of $1,000 each for the 2019-2020 academic year. These scholarships will be awarded to active educators working toward an advanced degree/endorsement in a related field of education. Since 2010, LPS recipients have included Malinda Burk, Kimberly Snyder, Matt Maw and Carrie Foster. The Lincoln Retired School Personnel (LARSP) organization will accept applications for the NARSP scholarships. After applications are reviewed, the LARSP review committee will select two semifinalists, and those applications will be sent to NARSP. Those applications will be reviewed with the other semifinalists from the 14 local units across Nebraska for the awarding of two scholarships. Notification of the scholarship recipients will be on or before Aug. 1. Deadline for the receipt of completed applications is April 12, 2019. The following employees have achieved the goal of 25 years of professional service to the youth of Lincoln and Lincoln Public Schools. They were honored at the Jan. 8 Lincoln Board of Education meeting. Lincoln Public Schools announced this week that Kelli Ackerman will be the new Director of Accounting and Payroll for LPS. Ackerman is currently the Business Manager for Holdrege Public Schools and Treasurer of the Holdrege Public Schools Board of Education. Ackerman has both private and public professional experience. Previously she worked at Tagge Engineering Consultants as well as Allmand Bros. Inc., both in Holdrege, and, prior to that – served as Business Manager for Arapahoe Public Schools. She earned her Bachelor’s Degree in Business Administration at Kearney State College. Ackerman will follow Jill Pauley, who is retiring from LPS at the end of 2018. The Visiting Nurse Association (VNA) will return and will be offering immunizations for employees and their families. Please click Here Registration Information and details regarding cost, dates, times and locations. Note: Flu mist will be available this flu season. See the LPS staff letter provided in link above for more details. If you experience difficulty registering from the LPS staff letter accessed above, please go directly to the VNA site by clicking Here. Below is a quick reminder of benefit information that is important for you and your family. Please read through! August 13-23: The enrollment period for all new hires and benefit eligible employees will begin on Monday, August 13 and will end at midnight on Thursday August 23. YOU WILL NOT HAVE ACCESS TO THE ENROLLMENT SITE BEFORE AUGUST 13TH. Instructions: To access the online enrollment system 1) go to www.lps.org 2) click on the STAFF tab 3) on the STAFF CENTER PAGE, you will scroll down to the bottom of the page next to the weather and click on Benefits Enrollment. Instructions on how to enroll are located there as well. Be prepared with names, dates of birth, social numbers and address for dependents( spouse, children under age 26) as well as beneficiaries (for death benefit as well as any life insurance you elect). This will simplify the process. This an open enrollment for health and dental insurance for employees, spouses and dependents. Employees may also enroll within 30 days of a qualifying event under HIPAA which includes marriage, divorce, birth/adoption, or losing coverage through a spouse changing jobs, retiring, etc. Health Care Reform eliminated the pre-existing condition requirements. Details on the various benefit plans can be found on the LPS home page. Type in Benefits in Keyword Search (upper right-hand corner of the screen). If you are newly benefit eligible, you will have the opportunity to enroll in disability as well as life insurance. Please read carefully! If you are no longer newly benefit eligible and you want to enroll in disability and/ or life, you will have to complete an Evidence of Insurability (EOI) Form and return to Madison National by September 1. This form is located in the enrollment system as well as on the benefits website. The coverage will start if/when the application is approved by Madison National. Pay attention to what coverage(s) you select. If you are adding or declining the coverage, you will need to select the appropriate button. Review, Print and/or save your confirmation so you remember what you elected! Any benefits added during this period will begin September 1. (New employees may have a different effective date - addressed in your Benefit Orientation session.) Premiums are deducted from your September 30th paycheck for September coverage. If you choose to drop coverage that you had, that benefit will end on August 31, 2018. A cancer/accident representative will be available should you have any questions regarding these voluntary coverages. You are welcome to schedule an appointment if you wish via the attached link. Want to learn more about your health and dental insurance? Greg Long, Educator's Health Alliance Representative, will be at the District Office, Board Room 100, Thursday, August 16 from 4:30 - 5:30 P.M. You are welcome to attend and bring a spouse as well! If you are planning to elect a health flex plan this year, the max is $2,650 and dependent care is $5,000 in a household. This a a full service FSA and can not be matched with an HSA. For Maintenance employees and Administrators considering the High Deductible Health Plan (HDHP) and an HSA starting on January 1 : You are not able to enroll in an HSA if enrolled in our FSA. This email message does not pertain to substitute employees or hourly employees such as mentors. Online training is now available for all Lincoln Public Schools employee groups required to take the annual suicide awareness/prevention training as required by school personnel law approved by the Nebraska State Legislature in 2014. PLEASE NOTE: A new software program has been chosen by the Nebraska Department of Education as a training tool that will cover this requirement for all school districts in Nebraska. This is not the same software that has been used in previous years. The new training program is called “Building a Suicide-Safe School Community” and is provided by the University of Nebraska Public Policy Center. As in the past, employees will take this training individually online. Those required to take the online training include: nurses, teachers, counselors, school psychologists, administrators, social workers, health technicians, treatment nurses, occupational therapists, physical therapists, sign language interpreters, service coordinators, SLPs, Bilingual Liaisons, Youth Development Team members, Campus Security, Early Childhood Student Parent Advocates, and paraeducators (including SEMs). If you are a classified employee, you must complete the training during your normal work hours when classes are not in session. If you are not a classified employee, you can complete the training when you choose. Three online training modules addressing prevention and postvention are available through this program. Nebraska educators must complete 2 of the 3 modules to satisfy their annual suicide prevention training requirement. Module 1 – Includes a brief summary of what to look for and how to respond to a student who may be experiencing thoughts of suicide. (30 minutes) All staff listed above will take this module. Module 2 – Includes information about how to integrate a student back to the classroom or school activity environment after a suicide attempt; and what you need to know and do in the classroom or school activity after a death by suicide. (30 minutes) All teachers, occupational therapists, physical therapists, sign language interpreters, service coordinators, SLPs, Bilingual Liaisons, Youth Development Team members, Campus Security, Early Childhood Student Parent Advocates, and paraeducators (including SEMs) will take this module. Module 3 – Includes information about how to plan for and manage reintegration of students who have attempted suicide; and how to plan for and manage learning environments after a death by suicide. (30 minutes) All administrators, counselors, social workers, psychologists, psychotherapists, and health office staff will take this module. *All groups are expected to have the training completed by end of the day on October 16, 2018. Any employee (including substitutes) who is not required to take the training can still take it if they choose to do so. You will register for an account at this site. You must have at least a “medium” strength password or you will not be allowed to proceed. Once you’ve registered, you will receive a confirmation email, which will direct you to the program’s page. District Office staff: When choosing a location the district location is at the end of the list. Make sure to click on the “Have a voucher?” link and enter the code BSSSC. Click on “Building a Suicide-Safe School Community” to begin your training. If you receive the following error message - “You must enroll in this course to access course content” - please ignore. It has not had any impact on the ability to complete the course and access certificates. This is a bug that NDE is working on fixing. As you work through the training it will display a completion percentage. This percentage reflects the percentage completed if you were doing all 3 modules. Once you have completed 2 of the 3 modules, remember to save to your computer the certificate of completion after each module. Certificates are available to print or save to your computer after each module is completed (If you have trouble saving, print as a pdf and save to your computer or print a copy and scan it to your email). Please email those certificates as an attachment to the designated person in your building/department. Email ppccourses@unl.edu or call 402-472-5678 between 8 a.m. and 5 p.m., Monday through Friday. This is NOT an LPS software solution, so we are not able to assist with any technical issues. If you have any questions that are not related to the software or logging in, please contact Russ Uhing at ruhing@lps.org or by calling 402-436-1650. Thank you for your continued work and dedication in making Lincoln Public Schools a safe and welcoming place for the students of our community. Lincoln Public Schools is proud to announce that all six high school graduations on Sunday, May 27, will be livestreamed on the LPS website. Those interested in viewing the livestream can log on to the district’s website - www.lps.org - and click on the special graduation page. Each high school will have their own stream that will start broadcasting at least ten minutes before the ceremony’s scheduled start time. The city of Lincoln and Lincoln Public Schools are coming together with the goal of: Safe and Successful Kids in our Community. To meet this goal they are proposing multifaceted action that covers increased security, mental health resources and proactive measures. Protective measures: Establish additional School Resource Officers to cover LPS middle and elementary schools, and one additional threat assessment officer. Preventive measures: Increase mental health services with one additional LPS social worker and additional student therapist services. Proactive measures: Increase leadership and staff at Community Learning Centers (CLCs) to provide a safe place for students before and after school as well as academic and enrichment opportunities that lead to success for students; and enhanced learning opportunities focused on STEAM programs (Science, Technology, Engineering, Arts and Mathematics) for CLC clubs and after school activities. The Lincoln Board of Education held a Work Session Monday, April 16, at Lincoln Public Schools District Office, focused on the proposed Joint Public Agency. The Lincoln Board of Education held a Work Session Monday evening at Lincoln Public Schools District Office to specifically discuss the proposed Joint Public Agency for safety, security and success of students. The proposed JPA represents a collaborative effort between the city and school district presenting multifaceted, comprehensive action that covers increased security, mental health resources and proactive measures (that would include increased funding for Lincoln Community Learning Centers). LPS Superintendent Steve Joel started the meeting by offering some history about Community Learning Centers, which began in 2000 with CLC sites at four LPS elementary schools funded through the Foundation for LPS. The Foundation conducted a feasibility study in the following year, which set the groundwork for $2.1 million in federal grants that allowed LPS and community partners to soon expand to nine additional sites and hire two district-wide coordinators. Joel explained further milestones: In 2004 LPS and community partners began to look at developing a long-term sustainability plan for CLCs – and by 2010 there were 24 CLC sites at LPS schools, while discussion continued about possible sustainability. Since 2016 the CLCs have been working on and developed a strategic plan and established “success quality indicators” that will be implemented at all CLC sites next school year – but had still not found sustained funding. LPS officials walked through key elements of the structure, organization, programming and financing of the proposed JPA – then Board members made comments and asked questions. She also said she likes: Rules of governance that make JPA decisions require agreement from both the city and school district; inclusion and coordination with non-profit organizations; and the ability to fund CLCs into the future. Connie Duncan also praised the rules of governance, “because they require equal representation” from both the city and school district. Annie Mumgaard asked for input from middle school principals about possible SROs – which drew a response from John Neal, currently assistant superintendent for Governmental Relations and Administration, but also a former middle school principal when there were SROs in LPS middle schools. Neal said the presence of a shared SRO in a middle school provided an element of law enforcement, but much more, the SRO served in the role of mentor for students, as well as an educational role in classrooms and community. Lanny Boswell had a long series of questions about the proposed JPA contract, noting he “loves the concept of creating an entity that brings in more than the mayor and superintendent and director of the Community Foundation … bringing in more people from participating nonprofit parties is a fantastic idea.” He added that he wished the non-profits had more than advisory power. Going forward: First reading for the proposed JPA will be at the regular Board of Education meeting at 6 p.m. on April 24, and second reading is May 9. The Board also plans a Public Forum on the proposed JPA at 7:30 p.m. Monday, April 30, at Lincoln Southwest High School. A Super Commons meeting was held on Monday, April 16, at Lincoln Public Schools District Office. The Super Commons meeting combines three government groups: The Lincoln City Council, Lincoln Board of Education and Lancaster County Board of Commissioners. “Kids are the most valuable resource in this community,” according to Lincoln City Council member Carl Eskridge, summarizing the theme of the Monday morning meeting of the “Super Commons” – a meeting of three governmental groups: The Lincoln City Council, Lincoln Board of Education and Lancaster County Board of Commissioners. The meeting was highlighted by a series of presentations, as well as robust conversation and questions about a wide variety of aspects of safety and security in our community and schools. Below is a summary of the major presenters at the Monday Super Commons. The LPS Operations staff has ensured the design and construction of secure entrances at many LPS schools – and LPS is currently conducting a study to develop a plan to ensure all schools have those entrances. The six traditional high schools have a comprehensive camera system. Cyber security is in place to protect online data and students. Social and emotional supports for students are in place that include programs for anti-bullying and suicide prevention, as well as a skilled Crisis Response Team. Special education programming is at work in every school, as well as programs for students with additional behavior support needs. Guidelines for crisis response across the district are based on the consistent Standard Response Protocol, and each school has developed a crisis response plan. School Resource Officers are assigned to each of the six traditional high schools. He explained that the cost of one SRO runs about $100,000 – currently split with the city covering 65 percent of that cost and LPS, 35 percent. He explained that it takes time to recruit, vet and provide the advanced training necessary to prepare new SROs, a process that can take up to six months. If funding for new SROs is approved soon, he said there is the potential of having six new SROs working inside schools by January of 2019 – but likely no more than six in that time frame. Wagner said there are four major school districts outside Lincoln in Lancaster County: Raymond Central, Malcolm, Waverly and Norris public schools – and they utilize SROs using the same funding formula as the city and LPS. Bliemeister and Wright agreed that threat assessment and threat management are powerful tools in providing preventative measures for student safety and security – though LPD has no full-time police officer specifically assigned to threat assessment. LPS has two security officials who have a wide array of security tasks and are nationally certified in threat assessment. Casady explained that over the past six years efforts have significantly increased to improve community preparedness in the event of a critical incident or mass casualty situation – through training and exercising that includes full-scale exercises and smaller more low-key training. Hoyle and Turner said the juvenile justice system in our community has been analyzing system-wide data for the past 20 years – following potential disparities related to detentions and arrests. They specifically talked about Project Restore, a program to help young people who are charged with assault or disturbing the peace – with supports such as mediation, diversion, etc. – and help keep those youth out of the juvenile court system. Community Learning Centers are now located in 26 LPS school sites, serving an estimated 7,000 students and offering “safe, purposeful activities before and after school – and summer months – during times when students might otherwise not be supervised,” Derby-Bennett said. In addition, she noted, students involved in CLCs achieve higher on standardized assessment than students who are not in CLCs. Johnson summarized what would be offered by the proposed Safe and Successful Kids Joint Public Agency (JPA) – a collaborative effort between the city and school district presenting multifaceted, comprehensive action that covers increased security, mental health resources and proactive measures (that would include increased funding for CLCs). A JPA creates designated, dedicated funding for student supports. A JPA creates a coordinated and focused process for the school district and city to work together. A JPA offers increased transparency and public discussion. Mental health is one of the most difficult issues in the school setting, making it so beneficial when mental health services can be offered in schools, McLeese Stephenson said. The Lincoln Board of Education held a regular meeting on Tuesday, April 10 at Lincoln Public Schools District Office, 5905 O St. The Board will hold its next regular meeting on April 24 at 6 p.m. The Lincoln Board of Education Tuesday approved the purchase of Chromebooks in the next annual instructional technology cycle for Lincoln Public Schools students. Research has indicated that a slightly costlier version of the touch screen is a good investment for high school students. So for the next cycle of purchases, the Board approved touch Chromebooks for ninth grade students (3,300) who will use them throughout their high school years, and standard Chromebooks for sixth grade students (3,000) who will use them for their middle school years. The approval awarded a $1.9 million contract to Dell EMC Inc. The Board of Education approved modifications of the swimming pools at Southeast and Southwest high schools – contracting with Cheever Construction Company to make modifications related to filtration and environmental pool conditions. The Board of Education assigns school attendance areas to property newly annexed or platted to the city of Lincoln. This action establishes school attendance areas prior to the sale of residential lots, allowing purchasers to know what schools their children will attend. The City of Lincoln has annexed two parcels of land for which the Board Tuesday approved attendance areas. Wandering Creek, Annexation Ordinance #20627, for 2017-18 school year: Pyrtle Elementary School, Lux and East. Dominion at Stevens Creek, Annexation Ordinance #20630, for 2017-18 school year: Meadow Lane Elementary School, Culler Middle School and East. James Blake, LPS K-12 Science Curriculum Specialist, elected President of the National Science Education Leadership Association. Adam Bonesteel, LPS Assistant Director of Athletics and Student Activities, named Nebraska State Activities Association Assistant Activities Director of the Year. Lincoln Public Schools on Wednesday proudly shared the new principals at two LPS high schools. Keri Applebee, who will serve as the new principal at Lincoln Northeast High School. 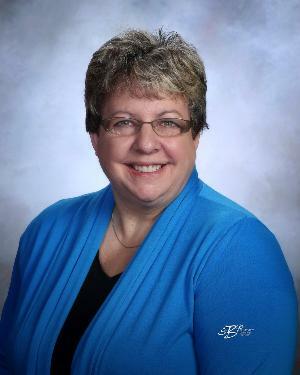 Applebee, currently associate principal at Lincoln Southwest High School, was previously instructional coordinator and guidance counselor at Southwest, and worked at other Nebraska school districts. She earned her Bachelor degree from the University of Nebraska-Lincoln, her Master’s degrees from UNL and the University of Nebraska at Omaha, and an Ed.S in Educational Leadership from Northcentral University. Ryan Zabawa, who will serve as the new principal at Lincoln North Star High School. Zabawa, currently principal at Park Middle School, previously served as associate principal at North Star, curriculum facilitator for Health/Physical Education, and team leader and teacher at Goodrich Middle School. He earned his Bachelor degree from the University of Nebraska-Kearney, and his Master’s degree from Doane University. The Lincoln Board of Education held a regular meeting on Tuesday, March 27 at Lincoln Public Schools District Office, 5905 O St. The Board will hold its next meeting on April 10 at 6 p.m.
Lincoln Public Schools officials Tuesday recommended a slightly costlier Chromebook for purchases in the next annual technology cycle for high school students – finding that the investment pays off long-term in reduced repairs. This year all LPS students grades 2-12 have access to an individual Chromebook – and the popularity of these gadgets in education settings continues to grow, leading to innovations in the Chromebook operating system. Most notably is the proliferation of Chromebooks featuring a touch screen and "2-in-1" form factor that allow the device to be used as both a standard laptop and tablet. Repair data suggest that a more costly touch screen and greater feature set is a good investment for high school students. So for the next cycle of purchases, LPS officials recommended to the Lincoln Board of Education – adoption of touch Chromebooks for ninth grade students (3,300) who will use them throughout their high school years and standard Chromebooks for sixth grade students (3,000) who will use them for their middle school years. “We did a lot of work and research to make the technology plan very deliberate and thoughtful,” said Board Vice President Don Mayhew. “We’ve also been learning…and as a result staff are making slight modifications…We are getting better at this. The recommendation would award a $1.9 million contract to Dell EMC Inc. The Board will vote final approval April 10. The Board Tuesday voted ratification of a memorandum of understanding with the Lincoln Police Department. The agreement would give the Lincoln Police Department access to LPS camera feeds when it is “necessary to protect the health or safety of students or others.” That means in the event of a crisis at one of the LPS high schools, Lincoln police could use a live feed from cameras in the schools. “It would make it possible for Lincoln police to utilize our camera system in the event of a crisis,” said Liz Standish, associate superintendent for Business Affairs at LPS. “This is a great value add. The LPS Nutrition Services Department operates a school meal program that provides breakfast and lunch meals to LPS students. Annually, the Board of Education reviews and approves school breakfast and lunch prices – and Tuesday heard a proposed ten-cent increase for meals next year. The Board will vote final approval April 10. The issue of equity in school lunch pricing is addressed in the Healthy, Hunger-Free Kids Act of 2010 – mandating that School Food Authorities (SFA) annually review their paid lunch revenue to assure compliance with the paid lunch equity requirement. The average paid lunch price requirement by USDA is $2.83, compared to the LPS weighted average price for lunch at $2.49. That means our price is 30 cents lower than USDA standard. Because the district’s price was less than the paid lunch equity requirement, the district is required to adjust and increase its lunch prices for 2018-19. The required increase for paid lunch meals for the 2018-19 school year is 10 cents. The Board of Education heard proposals to make mechanical modifications of the swimming pools at Southeast and Southwest high schools. The recommendation would be to contract with Cheever Construction Company to make modifications related to filtration and environmental pool conditions. The Board will vote final approval April 10. The city of Lincoln has annexed a parcel of land – Himark Estates, Annexation Ordinance #20620 – which automatically brings this property into LPS. Attendance areas approved Tuesday for the 2017-18 school year: Maxey Elementary School, Lux Middle School and Lincoln East High School. The City of Lincoln has also annexed two parcels of land for which the Board considered attendance areas. Final action for the last two parcels will happen April 10. Dominion at Stevens Creek, Annexation Ordinance #20630, for 2017-18 school year: Meadow Lane Elementary School, Culler Middle School and East. Final action for the last two parcels will happen April 10. Barb Johnson: Named Teacher of the Year by National Council of Exceptional Children's Division of Visual Impairments and Deafblindness. Lincoln High School: Named a School of Opportunity by the National Education Policy Center, represented by Lincoln High Principal Mark Larson. The Lincoln Public Schools Community High School Task Force held its final monthly meeting on Thursday at Lincoln Northeast High School, wrapping up committee work to study high school enrollment, priorities and facilities – and starting to finalize recommendations. The Task Force’s recommendations will be presented at the April 24 Lincoln Board of Education meeting. After that, the Board and superintendent will take those recommendations and opt for a variety of follow-up choices: Community quadrant meetings for a high school conversation, presentations to community groups, and eventually a new community group that will examine not just the need for high school facilities but for all LPS facilities. The Task Force – made up of about 70 community citizens and LPS educators – was formed to investigate community options and priorities for serving high school students. They met monthly throughout the school year at all six public high schools. Last year, LPS served 11,677 high school students, and by 2021, LPS is expected to have 13,344 high school students. Last year three high schools had enrollments of more than 2,000 students: Lincoln North Star High School, Lincoln Southeast High School and Lincoln High School – and this year Lincoln East High School joined that list. Meeting 4:00 – 6:00 p.m. Optional Tour at 3:30 p.m.
Do you love teaching children and/or young adults? Do you engage your students in research and inquiry? Do you love sharing books and literature with your students? Do you love technology and social media? If so – school libraries could be in your future! The University of Nebraska Omaha has funds from the NE Dept of Education's 2018-2019 Enhancing Excellence in Teaching (EETP) award to support your journey towards a school library endorsement in its Nationally Recognized graduate School Library Endorsement program. The award would pay part of your tuition for classes during Fall 2018/Spring 2019/Summer 2019 academic year. UNO courses are offered in a family and work friendly format that combines online experiences with on-campus sessions which allows students from all over Nebraska and the Midwest to join our profession. Questions? Contact Dr. Becky Pasco at rpasco@unomaha.edu or at 402-580-5480. Learning to become responsible young men and women – are lessons for students at Huntington Elementary School – lessons featured at the March Learning Lunch for Lincoln Public Schools this month: Tuesday, March 27, at LPS District Office, 5905 O St.
Called “Developing Young Men and Women” Huntington Principal Rik Devney will talk about empowering young people on the cusp of their teen years. The program begins at 12:15 p.m.
LPS Learning Lunches, open to the Lincoln community, are held in the Board Room at LPS District Office, 5905 O St. Doors to the Board Room open at noon, the program begins at 12:15 p.m., questions-and-answers happen at 12:45 p.m. You bring your lunch, we provide dessert. Tuesday, April 24: A Great Year of Achievement, highlighting LPS special education programs at Sherrill, Nuernberger and Yankee Hill Education Centers – Jane Stavem, associate superintendent of Instruction at LPS. Tuesday, May 15: Making Music, UKE can do it! Come try your musical talents with ukuleles, Lance Nielsen, curriculum specialist for Music at LPS. Lincoln Public Schools invites community members into the development process of the 2018-19 budget in a variety of ways. The Lincoln Board of Education has scheduled a budget work session for 4:30 p.m. Tuesday, May 22, at LPS District Office, 5905 O St.
Budget Forum, 5 p.m. Tuesday, June 12, Board Room, LPS District Office. Budget Forum, 7 p.m. Thursday, June 14, library media center, Lincoln Northeast High School, 2635 N. 63rd St.
A second Lincoln Board of Education work session is set for 4:30 p.m. June 26, at LPS District Office. And a public hearing and budget forum is set 6-6:45 p.m. on August 14 at LPS District Office. Lincoln Public Schools on Friday proudly announced new principals at five elementary schools. “These five new principals are great examples of people who have both the skills and the heart for leading our schools and the important work that happens in our classrooms every day,” said Jane Stavem, associate superintendent for Instruction at LPS. Chris Boden who will be the new principal at McPhee Elementary School. Boden, currently assistant principal at Elliott Elementary School and previously coordinator at Elliott, also taught at Clinton, Cavett and Prescott elementary schools. She earned her Bachelor’s degree from the University of Nebraska-Lincoln and her Master’s degrees from Doane College. Stephanie Drake who will be the new principal at Morley Elementary School. Drake is now assistant principal at Wysong Elementary School and, prior to that at LPS, served as coordinator at Zeman Elementary School and taught at Adams Elementary School. She earned her Bachelor’s degree at Buena Vista University, and her Master’s degrees at Concordia University and Doane College. Lynn Fuller who will be the new principal at Roper Elementary School. Fuller is currently assistant principal at West Lincoln Elementary School. She has also served as Intervention Project Manager for the School Improvement grant at Elliott Elementary School, technology coach for LPS, and a teacher at Everett. She earned her Bachelor’s degree from the University of Nebraska-Lincoln, Master’s degree from the University of Florida in Gainesville, and her Doctorate from the University of Nebraska-Lincoln. Kellie Joy who will be the new principal at Lakeview Elementary School. She is currently instructional coordinator for Lakeview and previously was instructional coach and co-chair of Continuous School Improvement for Clinton Elementary School, taught at Clinton and served as a Family Literacy Grant Facilitator. She earned her Bachelor’s degree at Nebraska Wesleyan University and a Master’s degree from the University of Nebraska-Lincoln. 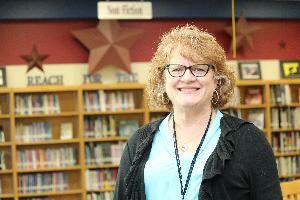 Cheryl Richter who will be the new principal at Fredstrom Elementary School. Richter is now coordinator at Fredstrom and, prior to that, was a teacher and team leader at Fredstrom. She earned her Bachelor’s degree at the University of Nebraska-Lincoln and her Master’s degrees from Doane College. March is National Social Worker Month and March 5-9 is National School Social Worker Week. Five-year-old Julian Romo Gonzalez, his perfectly combed hair peeking out above the podium, leaned into the microphone and said five words - “You’re the best teacher ever” - that set the perfect tone of gratitude for Tuesday’s breakfast ceremony honoring the 2018 Lincoln Public Schools Thank You Teacher award winners. Gonzalez was talking to Andrea Woita, his teacher at Kooser Elementary School who won the pre-school to grade two category. The five winning teachers, their students, family members and fellow educators gathered at the Governor’s Mansion for this year’s event, where they heard inspiring stories of the impact that a great teacher can have on a student’s life. There were more than 550 entries for this year’s awards, which are sponsored by Lincoln Public Schools and KFOR/KFRX radio. Our youth are our future’s greatest asset. Schools, parents, caregivers and communities all play a role in providing supportive pathways for our youth as they navigate childhood and adolescence. Lincoln Public Schools is partnering with School Community Intervention and Prevention (SCIP), Bryan Independence Center and the Lancaster Prevention Coalition to put on a series of valuable presentations about how to support the health and well-being of our community’s youth. These events are open to parents, students, school professionals and community members. Protecting our youth from at-risk behaviors, such as substance use, takes a community of support. One of the best ways we can help our kids make healthy choices is to stay informed and be aware of issues that may adversely affect the lives of our youth. Amanda Miller, manager of the underage drinking prevention programs for Mothers against Drunk Driving (MADD) will share the Power of Parents Presentation. MADD’s Power of Parents program empowers parents of middle school and high school students to have ongoing, intentional conversations about the dangers and consequences of underage drinking. Abbe Edgecombe, SCIP Coordinator for Lincoln/Lancaster County will also share information on emerging youth drug trends in an effort to raise awareness of specific substances of abuse, recognition of drug paraphernalia (including products created specifically to help youth disguise or hide substances of abuse) and the role of awareness, education and community supports in youth substance use prevention. The Lincoln Board of Education held a regular meeting on Tuesday, Feb. 27 at Lincoln Public Schools District Office, 5905 O St. The Board will hold its next meeting on March 27 at 6 p.m.
Student safety continues to be our school district’s top priority, Joe Wright, director of Security at Lincoln Public Schools, told the Lincoln Board of Education Tuesday. Giving a general update about safety and security measures throughout LPS, Wright stressed there are many procedures and systems in place. Regular drills to prepare for a wide range of emergencies, including active threats, gas leaks, fire drills and more. Security cameras at all our major high schools. Partnering with local law enforcement and safety experts. LPS works closely with the LPS security team and the Lincoln Police Department to continuously evaluate safety protocols and practice with staff and students in the event of an emergency. Barb Baier: “We are challenged with balancing the needs of reasonable security measures with the needs of classrooms…and the risk of decreasing the educational values of our schools.” Baier provided a list of many of the security measures implemented at LPS, but stressed that the commonality among shootings has been “perpetrators who are socially and emotionally isolated.” She urged building positive relationships with students and a positive school culture, reducing class size so teachers have more time to interact with students, hiring more social workers, counselors and mental health workers. Matt Schulte said he appreciated the community comments and conversation. He commended the security team at LPS and investing in mental health of students specifically through the LPS behavioral programs – and made some suggestions for further security measures. The Board of Education Tuesday approved an agreement with teachers for a one-year contract for the 2018-19 school year, developed by the Lincoln Education Association (LEA) and Lincoln Public Schools. This proposal recognizes the valuable contributions our teachers make to the school district to maintain the LPS legacy of excellence in teaching and learning, while also making sure the school district serves as good stewards of taxpayer funds – according to Steve Joel, superintendent of LPS; Rita Bennett, president of the LEA; and Lanny Boswell, president of the Lincoln Board of Education. The agreement – voted on and approved by LEA membership – provides a total compensation package increase of 2.68 percent for the 2018-19 school year, which includes salary increases of 3.07 percent, increases in Social Security and retirement costs – and no increase in health insurance premiums. Each full-time employee will receive a $1,675 salary increase. The base salary for a new teacher will increase by $1,175 to $45,156. The Board of Education assigns school attendance areas to property newly annexed or platted to the city of Lincoln. This action establishes school attendance areas prior to the sale of residential lots, allowing purchasers to know what schools their children will attend. The city of Lincoln has annexed a parcel of land – Himark Estates, Annexation Ordinance #20620 – which automatically brings this property into LPS. Attendance areas proposed for the 2017-18 school year: Maxey Elementary School, Lux Middle School and Lincoln East High School. The Board will take final action at the March 27 meeting. The Lincoln Board of Education heard a special Student Celebration Tuesday, recognizing the value of science fairs and promoting the 23rd Zoetis-LPS-GSK Science Fair set for March 1. The Lincoln Public Schools Community High School Task Force held its monthly meeting on Thursday at Lincoln Southwest High School, continued committee work to study high school enrollment, priorities and facilities – and heard an update on school security. The Task Force’s final recommendations will be presented at the April 24 Lincoln Board of Education meeting, according to Liz Standish, associate superintendent for Business Affairs, who is facilitating the Task Force. Going forward after that, the Board and superintendent will take those recommendations and could take a variety of steps such as: Community quadrant meetings for a high school conversation, presentations to community groups, and eventually a community group to examine not just the need for high school facilities but for all LPS facilities. The Task Force – made up of about 70 community citizens and LPS educators – was formed to investigate community options and priorities for serving high school students. They are meeting monthly throughout this school year at all six public high schools. Before the Task Force divided into committee work, they heard an update about LPS safety and security from Joe Wright, director of Security at LPS. Wright directed them to a wealth of information about LPS security at the website on the LPS site: http://home.lps.org/security – where community members can find information about frequently asked questions and the general LPS safety and security protocol. On Thursday, the Task Force also continued to work in four subcommittees. The Lincoln Board of Education held a regular meeting on Tuesday, Feb. 13 at Lincoln Public Schools District Office, 5905 O St. The Board will hold its next meeting on Feb. 27 at 6 p.m. The Lincoln Education Association (LEA) and Lincoln Public Schools have reached a tentative agreement with teachers for a one-year contract for the 2018-19 school year – in a proposal presented to the Lincoln Board of Education Tuesday. This proposal represents a balance: Recognizing the valuable contributions our teachers make to this school district and maintaining the LPS legacy of excellence in teaching and learning, while also serving as good stewards of taxpayer funds – according to Steve Joel, superintendent of LPS; Rita Bennett, president of the LEA; and Lanny Boswell, president of the Lincoln Board of Education. The tentative agreement – voted on and approved by LEA membership – provides a total compensation package increase of 2.68 percent for the 2018-19 school year, which includes salary increases of 3.07 percent, increases in Social Security and retirement costs – and no increase in health insurance premiums. Each full-time employee would receive a $1,675 salary increase. The base salary for a new teacher would increase by $1,175 to $45,156. The Lincoln Board of Education conducted the first reading of the contract at the Feb. 13 meeting and will take action on the tentative agreement at the Board meeting set for 6 p.m. Feb. 27 at LPS District Offices, 5905 O St.
June 12: Presentation and Budget Forum, District Office, 5 p.m.
June 14: Presentation and Budget Forum, TBD, 7 p.m.
Josh Hinrichs, Lincoln Southwest High School Business Instructor, has been named a Gold Star Teacher by the organization Working In Support of Education (W!SE). Deb Wolken, Lincoln Northeast High School Business Instructor, has been named a Gold Star Teacher by the organization Working In Support of Education (W!SE). February is generally a time for major school and district administrators to announce retirement plans, as well as new roles, so we will share these announcements in a timely manner. Bates was first hired by LPS in 1989 and in her time here she has taught at Morley and Maxey and Hill elementary schools, Lux Middle School and the former North Star Middle School. She served as elementary coordinator at Fredstrom Elementary School, principal at Riley Elementary – and has been principal at Morley for six years. Knudsen has held a variety of administrator and leadership roles during his 27 years with LPS: psychotherapist/team leader/coordinator with the Elementary and Secondary Behavioral School Programs; coordinator and assistant principal at Cavett Elementary School and principal at Saratoga Elementary School, Dawes Middle School and Scott (since 2009). Nelson served in a variety of special education roles at LPS from 1991 through 2004, teaching at Goodrich Middle School and Calvert Elementary School, serving as a home bound teacher and special education coordinator at Elliott Elementary School. When he returned to LPS as an elementary principal in 2008, he served three years at McPhee Elementary School and since 2011, principals at Lakeview. Schulenberg came to LPS in 1983 and was an English teacher and team leader at Goodrich Middle School and then Scott Middle School. He served as associate principal at Schoo Middle School starting in 2009, followed by serving as principal at Schoo. Byers has worked for LPS for more than 40 years, starting as an accompanist at Lincoln Northeast High School, then teaching general music at Arnold Elementary School then Huntington Elementary School, followed by teaching vocal music at Dawes Junior High. She served as the Middle Level Internship Facilitator and moved over to Human Resources as the Supervisor of Elementary Personnel. Christie has worked for LPS for 43 years in various positions. He started in the school district as a sociology and history teacher at Lincoln High School, and also head wrestling coach and assistant football coach – followed by serving as a building administrator at Lincoln Northeast High School. He was then named Multicultural School/Community Administrator for LPS. 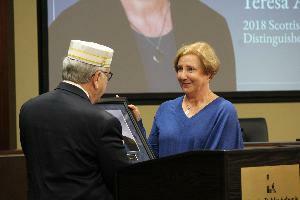 Styskal has been with the school district for 42 years. She served as director of Budget since 2010, and prior to that, was coordinator of Budget. She previously worked for LPS as a Business Technical Assistant in Custodial, Maintenance and Facilities, and also provided clerical support for Lincoln Northeast High School. Wibbels started with LPS as a Social Studies and English teacher, and counselor at Mickle Middle School. He left and returned to LPS as assistant principal at Irving Middle School and principal at Park Middle School. He then served as supervisor of Secondary Personnel and Teacher recruiter for Human Resources, and most recently as part-time administrator/recruiter. Muggy will continue working for LPS in a different role, a half-time position as director of Elementary Education. He has served in a variety of positions at LPS since 1981, starting as team leader at Yankee Hill Elementary School, sixth grade team leader at Lakeview Elementary School and Cavett Elementary School, special education coordinator at Kahoa Elementary School, assistant principal at West Lincoln Elementary, and then principal at Brownell Elementary School and Meadow Lane Elementary School. He has served as principal at Roper since 2011. The Nebraska Association of Retired School Personnel (NARSP) will be awarding two scholarships of $1000 each for the 2018-2019 academic year. These scholarships will be awarded to active educators working toward an advanced degree/endorsement in a related field of education. This past year Carrie Foster, special education supervisor, was a recipient of one of the scholarships awarded. Since 2010, other LPS recipients have included Malinda Burk, Kimberly Snyder, and Matt Maw. The Lincoln Area Retired School Personnel (LARSP) organization will accept applications for the NARSP scholarships. After applications are reviewed, the LARSP review committee will select two semi-finalists, and those applications will be sent to NARSP. Those applications will be reviewed with the other semi-finalists from the fourteen local Units across Nebraska for the awarding of the two scholarships. Notification of the scholarship recipients would be on or before August 1. Deadline for the receipt of completed applications is April 14, 2018. The Lincoln Public Schools Community High School Task Force held its fourth meeting on Thursday at Lincoln High School and continued committee work to study high school enrollment, priorities and facilities. Liz Standish, associate superintendent for Business Affairs, who is facilitating the Task Force, mapped out the plan for the work of the Task Force over the next few months. “We are hoping we will begin to draft recommendations in February,” she said. In March, she said the goal is for the recommendations to start taking shape – and have them ready to present in the spring. The Task Force – made up of about 70 community citizens and LPS educators – was formed to investigate community options and priorities for serving high school students. They will meet monthly throughout this school year at all six public high schools, and will make recommendations to the superintendent by May, 2018. On Thursday, the Task Force continued to work in four subcommittees. Subcommittee on Focus Programs/Innovative Delivery: “Great conversation, increased understanding of challenges....in order to focus on career ready and college ready…and what tools are needed. The Lincoln Board of Education held a regular meeting on Tuesday, Jan. 23 at Lincoln Public Schools District Office, 5905 O St.  The Board will hold its next meeting on Feb. 13 at 6 p.m.
Lincoln Public Schools has gone green over the past decades. The school district practices energy efficiency in all LPS facilities, composts, recycles in general, and recycles construction waste, helps with school gardens and outdoor education, and more. Brittney Albin, Sustainability Coordinator for LPS, Tuesday gave the Lincoln Board of Education an update on LPS sustainability efforts. Board member Barb Baier commended Albin and the sustainability program, “and the incredible work to engage so many of our schools…I am so proud of your work and the school district being a leader in this area. The Lincoln Public Schools Sustainability Department promotes green efforts throughout the school district and the community by implementing environmentally responsible practices in LPS facilities – while providing educational opportunities for future environmental stewards. Albin described one of the newer programs, the Green Schools Recognition Program, that involves giving schools a variety of green activities to complete throughout the year – and based on points earned, they may receive a small amount of funding for a sustainability-related project. In fact, LPS is a leader in the implementation of sustainable practices. In 2015, LPS received the District Sustainability Award from the US Department of Education. In addition, several LPS schools are recognized as Green Ribbon Schools (Irving Middle School and Prescott Elementary School). The district was awarded the 2016 WasteCap NE Member of the Year, and has been recognized through various local award programs. A $67,000 grant to Steelcase Education to support renovation of classroom space at Lefler Middle School that would be redesigned to create a space that is more conducive to problem-based learning. If awarded, Lefler will serve in an experimental capacity, as other middle schools gravitate toward such environments of innovation. A $519,500 federally-funded 21st Century CLC grant application to the Nebraska Department of Education over a five-year period to help support Community Learning Centers at Everett and Lakeview elementary schools and Mickle Middle School. Core program activities will include homework/academic support, enrichment activities, recreation and leisure, character education and development, and service learning as well as activities to support nutrition and healthy lifestyles. An $8,000 grant from the Andrew Lloyd Weber Initiative to help fund a stage for the Bryan Community Focus Program. Theflexible and movable stage would allow for an appropriate set for theater and musical performances in the 1950’s gymnasium. This equipment also would allow for local, regional and national theatre groups to perform for the students. Eight wheelchair school buses through a contract with Cornhusker International for $888,240. Six 72-passenger school buses through a contract with Truck Center Companies for $800,722. The area near 93rd and O streets, Annexation Ordinance #20586, for 2017-18 school year: Pyrtle/Meadow Lane Elementary Schools, Lux Middle School and Lincoln East High School. The area near LES Southeast Service Center, Annexation Ordinance #20575, for 2017-18 school year: Wysong Elementary School, Moore Middle School and Lincoln East High School. The Board of Education assigns school attendance areas to property newly annexed to the city of Lincoln or newly platted. LPS Superintendent Steve Joel thanked Lincoln Board of Education members for their work – in honor of National School Board Appreciation Week. The Lincoln Board of Education heard a presentation about the Unified Bowling program, now a sanctioned sport through the Nebraska School Activities Association. A division of Special Olympics, the unified sports program pairs students with and without disabilities who compete together. East High School - 6:00 p.m.
Lincoln High School - 1:30 p.m.
Southwest High School - 4:30 p.m.
North Star High School - 7:30 p.m.
We are pleased to announce the 23nd Annual Zoetis-LPS-GSK Science Fair on Thursday, March 1, 2018. The fair will be held at the Lancaster Event Center-Pavilion 1, 4100 No. 84th Street in Lincoln. Once again, we expect nearly 600 fifth through eighth grade students to descend upon the Event Center eager to share their discoveries with the Lincoln community. There will be mazes, chemical reactions, paper airplanes, and of course, no science fair would be complete without an erupting volcano or two. In addition, we have invited over 60 special presenters from the greater Nebraska area who will entertain and educate all who attend through many hands-on activities. All that is missing is YOU! We need your help to make this science fair happen. We need community members to serve as project judges, student assistants, and registration staff. A description of the various volunteer positions is included with this mailing. How can you register to help? Just follow the steps listed below. Please note… all registrations must be completed on-line by the volunteer. Review the job descriptions for the various volunteer positions. Descriptions are included in this letter. Access the volunteer registration form directly HERE or go to www.lps.org (type in keyword Science) which will bring up the LPS Science homepage. Scroll down to the bottom where you’ll see Click here to be a volunteer listed under 2018 Zoetis-LPS-GSK Science Fair. Complete the registration form and submit it. Periodically, we will be sending out an email to all registrants indicating that we’ve received your registration. Please respond by February 16th. If you have any questions, please contact me at 402-436-1140 or rsettles@lps.org. Or you may contact James Blake (jblake@lps.org). Greet judges as they arrive at the fair site. You will also distribute judging forms, clipboards, and supplies to judges. Greet all ‘non-judging’ volunteers. You would also register all students who did not complete their registration through their school. You will also help answer questions for our participants and visitors. Distribute nametags, project numbers, and table assignments to all student participants. Distribute t-shirts to our student participants. Assist students in finding their assigned table location on the floor. Review each judging form for mathematical accuracy, organize forms and possible data entry. What are the Lincoln Public Schools Behavior Programs? Students who have significant behavioral issues that are not able to benefit from and are struggling in their home attendance school’s behavior programming. How do students get to one these programs? A process exists where the home attendance school works with the process staff to implement behavior specific strategies then collect data. If behavior doesn't improve the Individual Education Plan (IEP) team meets to determine if a placement at the behavior program will provide more support to the student. What are the important components of the settings? What are the leadership opportunities for students? All students earn ratings through their daily behavior data from concern, neutral, positive, positive observation, pledge, student government, and executive . After earning a leadership status (positive observation or above), students are able to redirect peers in a positive manner, and begin to facilitate the assembly process. Some students who have had significant behavioral issues in the past become strong leaders and assist peers in learning and maintaining positive behaviors. Why do these programs “work”? The students have consistent structure and know exactly what to expect. High expectations behaviorally and academically are key as well as learning and practicing appropriate behaviors. Staff are skilled and foster positive relationships with students. Relationship building between students and staff is very powerful in learning and maintaining behavior. How are the programs funded? The programs are funded by Lincoln Public Schools special education funds that include federal, state, and local monies. Lincoln Public Schools students will talk about finding success in school at the January Lincoln Public Schools Learning Lunch scheduled for 12:15 p.m. Tuesday, Jan. 23 – in a presentation called“Success with our Scholars” that features remarks from students and Pete Ferguson, LPS Youth Development Team coordinator. Tuesday, Feb. 27: Kids vs. adults in LPS Spelling Bee, LPS Spelling Bee champions compete with LPS employees, Mindy Murphy, curriculum specialist, Secondary English Language Arts. Tuesday, March 27: Developing Young Men and Women, featuring Huntington Elementary School children and Rik Devney, Huntington principal. You can download the ticket order form here. For more information on this event or to purchase tickets, contact Ed Wimes at ewimes@nebraska.edu or 402-202-3267. Have you always wanted to play the piano? Or have you forgotten how to play piano since you were a child? Join Lincoln's Community Piano Experience, a group piano class offered with the help of the University of Nebraska-Lincoln’s Glenn Korff School of Music Piano Pedagogy faculty and interns! Offering classes at beginning and intermediate levels! Date, time, location, and cost information can be found on our website https://sites.google.com/site/lincolncommunitypiano/. For additional information email lincoln.cpe@gmail.com or call Travis Worsham at 936-591-2116. Registration deadline: January 17, 2018. The Lincoln Board of Education held a regular meeting on Tuesday, Dec. 12 at Lincoln Public Schools District Office, 5905 O St. The Board will hold its next meeting on Jan. 9 at 6 p.m.
After a comprehensive community engagement process over the past year, the Lincoln Board of Education Tuesday approved a new and refreshed strategic plan to take the school district through the next five years. The new strategic plan then focuses on five major thematic areas: academic success for students, global citizenship for all students, support for educators, family and community partnerships, and growth ready facilities. Investigate the feasibility of developing additional K-12 focus programs, strengthening existing focus programs, and other programming options. Develop plans to address the need for students to have greater exposure to world languages and cultures. Expand delivery model opportunities to allow for flexible scheduling. Expand plans to address mental health needs of students. Assess feasibility to expand access to high quality early childhood program access through additional full-day and part-day program options. Increase movement opportunities throughout the school day to support developmental, physical and social needs of students. Research and implement strategies to recruit, hire, develop, support and retain the highest quality and diverse staff. Evaluate district assessments to determine the impact on classroom time and student performance. Work toward providing all students access to full-service community schools that provide after school programs. Research and develop facility plans to address growing high school enrollment. Continue to update the LPS 10-year Facilities and Infrastructure Plan. The strategic plan draft is the result of intense community participation and support in an initiative that began early last school year – an initiative that included 49 community sessions and 3,800 responses from community citizens. Data collected from community engagement was passed onto a Community Study Team – made up of community members and LPS staff – and then reviewed and modified through two Board work sessions. The Board approved attendance areas for newly annexed city property near Yankee Hill Road and South 40th Street. Attendance areas will be: Humann Elementary School, Pound Middle School and Lincoln Southeast High School. The Board approved revisions in policy series 4000 related to Human Resources, including changes for Equal Employment Opportunity and Recruitment. The Board approved an application for a Woods Charitable Fund Breakthrough Initiative Grant. The Board considered submission of a grant request to United Way to help continue to support the Two Generations – Family Literacy project. They will vote final approval at the Jan. 9 Board meeting. Instructional leaders presented a variety of scores and evaluation data – previously released to the public – to give Board members a “Data Snapshot” of the school district. The Board was given an update on their previous approval for refunding of the series 2010 Build America Bond Issue. The purpose of advanced refunding is to take on bonds at a lower interest rate. The refunding resulted in 6.3 percent taxpayer savings – or just over $2.9 million.